The E-PL8 valiantly takes place at the bottom of Olympus’ Micro Four Thirds lineup, though don’t assume that it’s low-end. 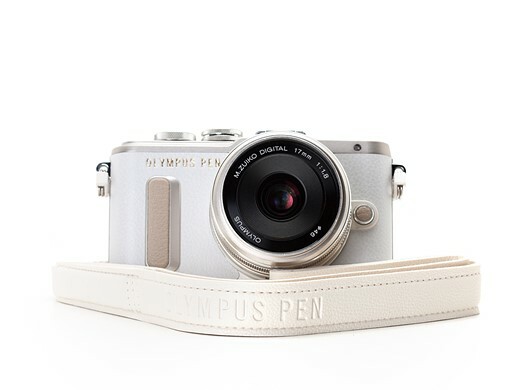 It replaces the E-PL7 as Olympus’ ‘gateway’ camera into its ILC system for people who have discovered their love of photography through their camera phone and want to take the next step up. With this customer in mind, the E-PL8 has tried to bring together the best of both worlds, offering features that are useful no matter which way the camera is pointed and that should appeal to the young hip crowd that is ready to improve the quality of their images. First and foremost, this customer most likely already owns a cleanly designed, trendy personal electronic device that works just as much as a fashion accessory as a piece of technology. Knowing that, the E-PL8 has gone through a bit of a design clean-up when compared to the E-PL7. A new set of optional color-coordinated cases and straps indicate as much thought was put into aesthetics as performance for this update. 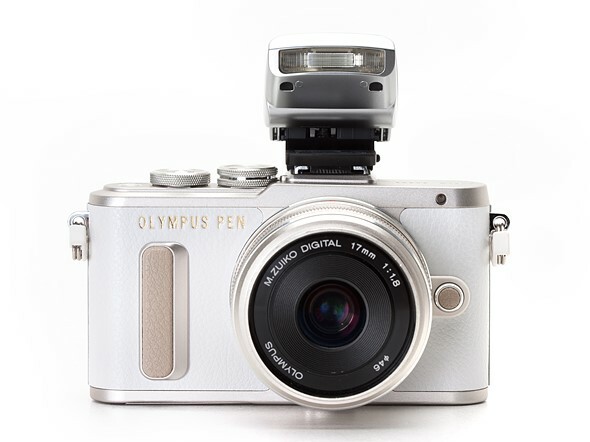 Second, with the E-PL7, Olympus wagered that their customer would be as interested in pointing the camera at themselves as often as away, since that is one of the primary ways phone cameras are used. The E-PL7 was therefore equipped with a rear screen that could angle 90-degrees upward or 180-degrees downward to face the front of the camera, allowing a photographer to effortlessly frame a self-portrait. For the E-PL8, the touchscreen configuration remains the same but receives some updates to make taking self-portraits or video easier. 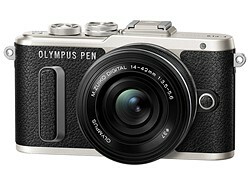 The E-PL8 also inherits the ability process both JPEG and Raw files in-camera. With JPEGs, adjustments are limited to things like cropping, shadow adjustment, red-eye correction, and color saturation. Raw processing, however, is much more in depth and offers the ability to change any image parameter that can be adjusted while shooting, like highlights and shadows or the application of the extended bank of art filters that first appeared in the E-M10 II. The good news is the hardware found in the E-PL8 is known to be a decent piece of kit, as it has been lifted from the Silver award winning E-M10 II. All the E-PL8 doesn’t include is the E-M10 II’s electronic viewfinder, although one that attaches to the hot shoe is available as an accessory. 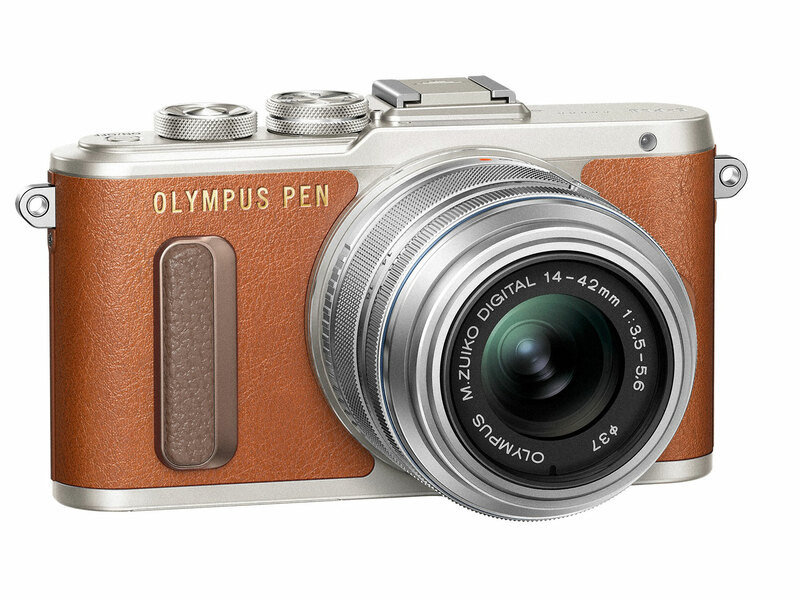 The E-PL8 also comes in brown… … and black. The E-PL8 comes in either black, white or brown leatherette over a silver matte chassis finish. Prices will start at $549.99 for the body only, and $649 for the kit that includes the 14-42 IIR zoom lens. Those prices are $50 lower than what the E-PL7 cost when it was introduced.